You are viewing family-friendly mini cruises . Click here to see all 2019 and 2020 mini cruises. 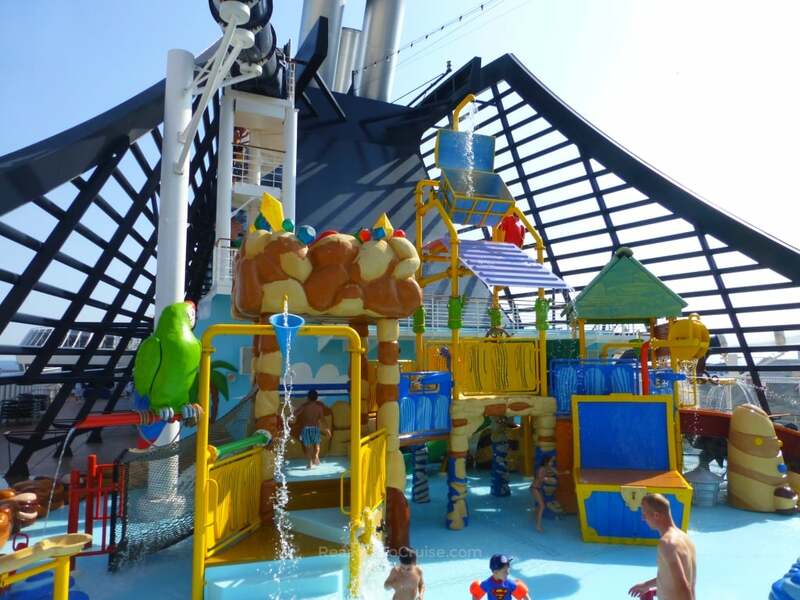 Did you know modern cruise ships are ideal for families? Cruise lines are falling over themselves to offer the latest and greatest family entertainment options. The best for families offer rock climbing walls, surfing simulators, ropes courses, water splash parks, swimming pools, 4D cinemas, dodgems, go-karts, and F1 racing simulators are just some of the recent innovations. Families tend to favour Royal Caribbean, P&O Cruises, and MSC Cruises. Most family-friendly ships usually offer a kids club, typically for children aged three to 17, spread across various age groups. The best offer free clubs for children aged two and above. Some cruise lines, such as Fred Olsen, aren’t as geared-up for kids but still welcome children onboard. Such cruise lines only offer children’s entertainment when the number of children on individual sailings are sufficient – for example, in school holidays. This will then vary from ship to ship.